BlackBerry was once the sole emperor of the enterprise phone space, so it's nice to see the Canadian company isn't too bitter about its fall from grace to help out a friendly rival. At a conference in San Francisco today BlackBerry announced it's going to be using its security expertise to give Samsung a boost in the enterprise market. 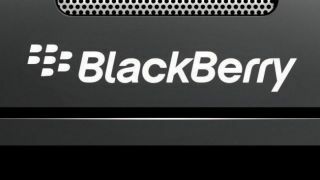 BlackBerry will help Samsung make more secure Android devices, BB CEO John Chen said during a presentation, by adding its own BES12 encryption to devices using Samsung's Knox software. The partnership will bear fruit in early 2015, Chen promised. At the same conference BlackBerry also introduced BBM Meetings, a version of its BlackBerry Messenger service aimed at conferencing for enterprise users. BBM Meetings supports cross-platform video and voice conferences as well as text chats, screen-sharing and presentations, and it's compatible with BlackBerry 10, Android, Mac OS X and Windows PCs. BBM Meetings costs businesses $12.50 (about £8, AU$14) a month per host after a 30-day free trial, though it will alternatively be available in December as part of an enterprise bundle that also includes BBM Protected and advanced technical support for slightly less per month.